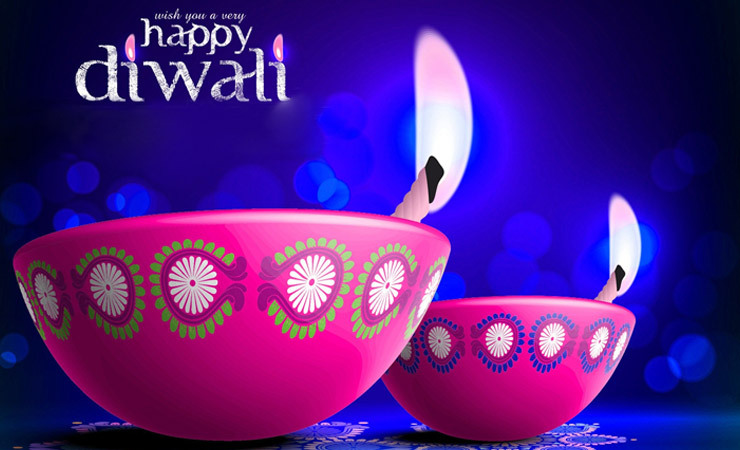 Diwali or Deepawali, as it is traditionally referred to as, is the glorious festival of lights. It is observed all over India as the triumph of light over gloom, hope over despair and knowledge over ignorance. In order to celebrate it in high spirits everyone comes up with exciting and exuberant Diwali Gift Ideas for their kinfolks. Nonetheless, there is another family that exists beyond your dwellings. It comprises of your loyal employees. To exalt their efforts on this auspicious day, you must arrange for the best Corporate Diwali Gifts for them. If you browse for online gifts over the web, you will definitely find a wide plethora of presents for Diwali, but it will be really tricky for you to figure out the best one for your special ones. Talking about the Corporate Diwali Gifts, they have to be enticing enough to make for a persuasive incentive for employees. 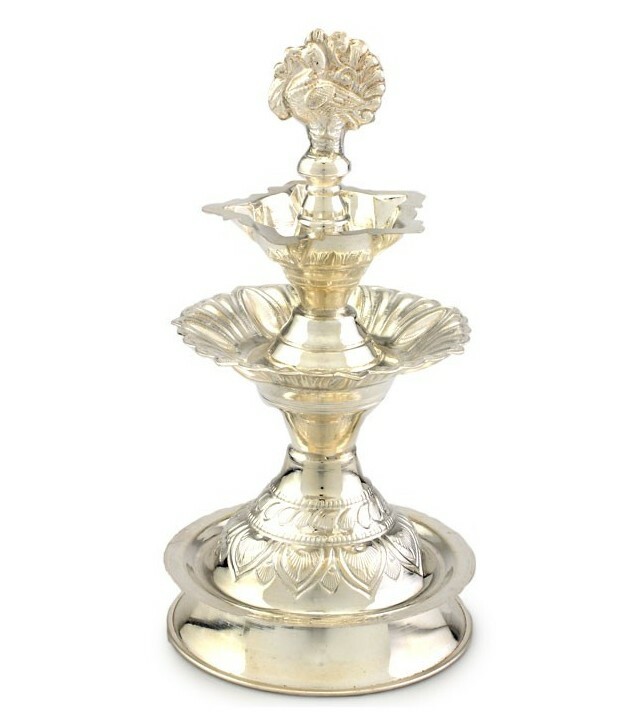 Silver gifts never fail to make an impact on all the lovers of opulence and creativity. 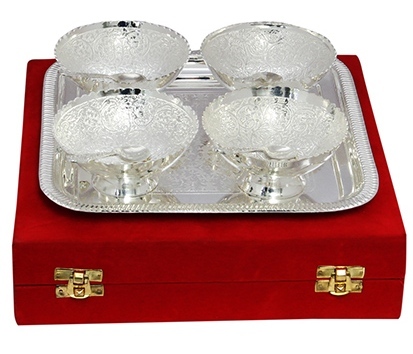 This Diwali you can delight all your colleagues or employees by offering them elegant Designer German silver Bowl Sets. You can choose from the wide array that includes Attractive set of German silver tray and 3 bowls, twin bowl German silver pudding set, Silver Apple Shaped Bowl with Spoons and so on. In India, no occasion is celebrated without the blessings of the Almighty. 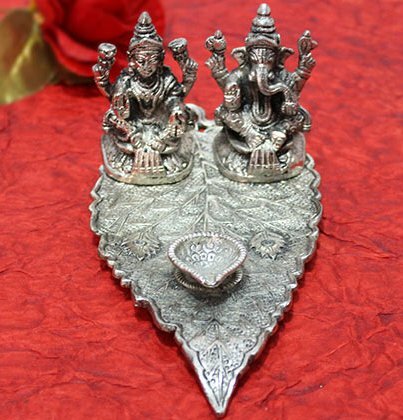 As one of the most beguiling Diwali Gift Ideas, you can show your devotion by gifting beautiful silver idols such as silver Ganesh chowki with diya, silver Cow and Calf Figurines, and Peepal leaf Ganesh Lakshmi designer portray. 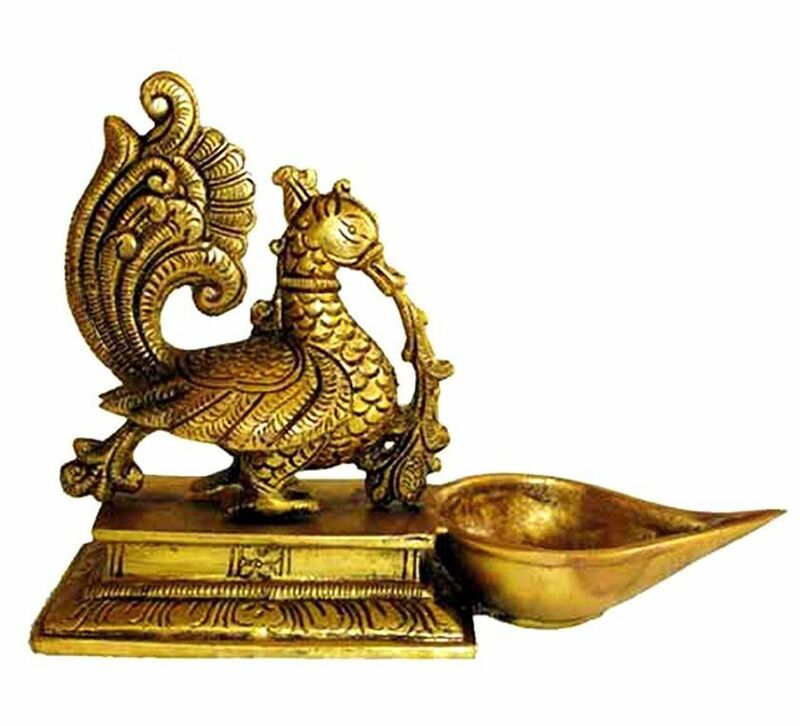 There is no risk of tarnishing of these silver idols as they are oxidized. 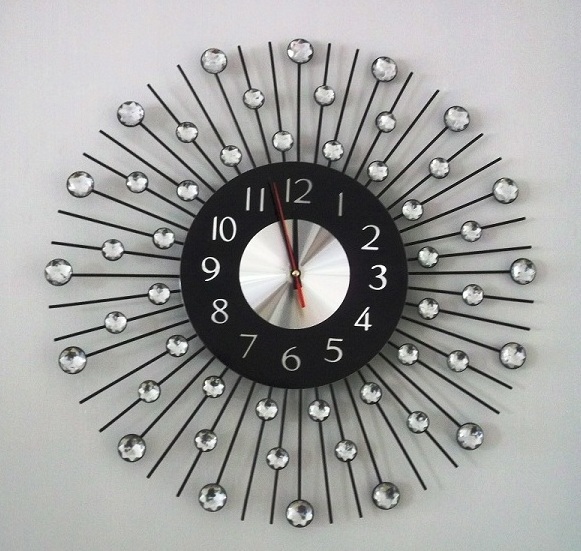 Well, gifting of designer wall clocks to the close associates on Diwali has been a popular tradition. This Diwali, you must amaze your employees and clients with the traditionally designed Exquisite wall clocks such as Wooden and brass colorful wall clock, Wooden and brass designer clock or the Stone Embedded Multicolor Square Shaped Wooden Wall Clocks. 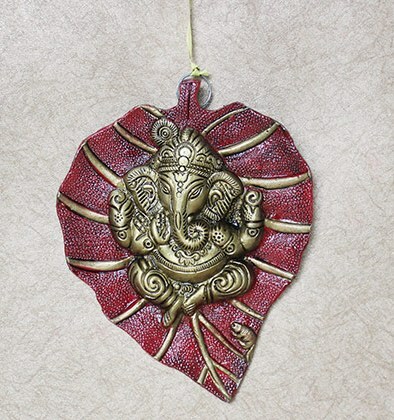 Wall hangings are one of the most appealing Diwali Gifts. They can easily titivate the home with a touch of traditional art. This year, you must daze all your employees with alluring Ganesha Wall Hangings like the multicolored brass leaf Ganesha Wall Hanging or the silver leaf Ganesha Wall Hanging. White symbolizes serenity and sanctity. These days, white marble statuettes are in much demand among the people. 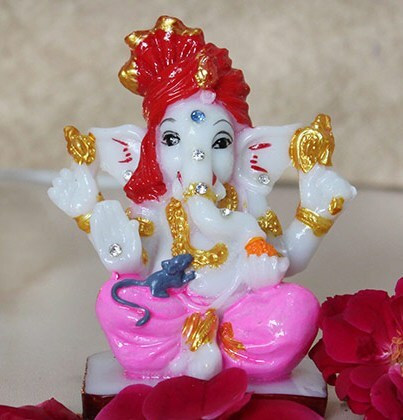 From the wide array of such idols that includes Decorative cow and calf statue, Cute and Joyous Ganesha, Intricate Laxmi-Ganesha and many others, you can pick out the best ones for your employees. As one of the most alluring Diwali Gift Ideas, you can choose to gift one of the exquisite gift option such as Auspicious Laxmi-Ganesha Diya Stands, Silver Laxmi Ganesha diya stand on leaf, silver Laxmi Ganesha idol with Diya and so on. With these amazing Diwali Gift Ideas, you can clearly make out that there is no end to innovation, when it comes to gifting. You can also find personalized corporate gifts according to the predilections of your employees and other associates. Here on this renowned e-gifting portal, https://www.giftalove.com, you can find endless options on corporate Diwali gifts for your clients and subordinates. With their fast and economic gift delivery network, you can send all your gifts in given time frame and at least cost.